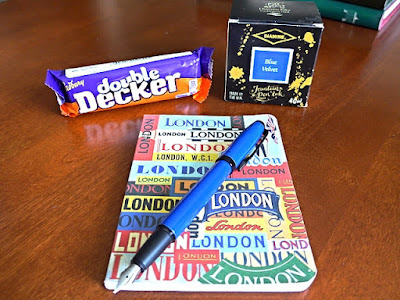 Vancouver Pen Club: Rule, Brittania! 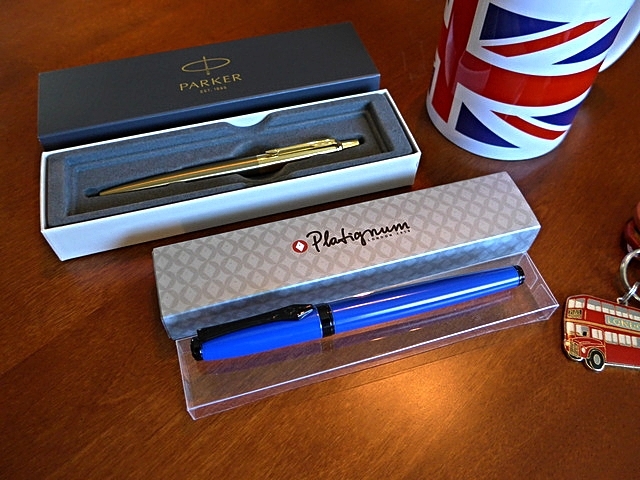 Platignum is an old British brand that started production in 1919 and made many pens used by school-aged children in the 1950s and 60s. The company ran into financial difficulties in the 1990s, but were bought out by Snopake, who, in 2007, started producing fountain pens again. The 'Studio' is a well-made, lightweight, aluminum pen with a comfy rubber grip section and very smooth steel nib. 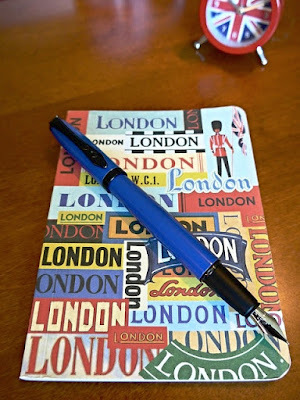 The pen is nicely balanced when posted and sports a cool nib-shaped black metal clip, which contrasts nicely with the bright colour of the cap and barrel. All in all, a solid fountain pen that looks classy without costing a small fortunte. Well done, Platignum! 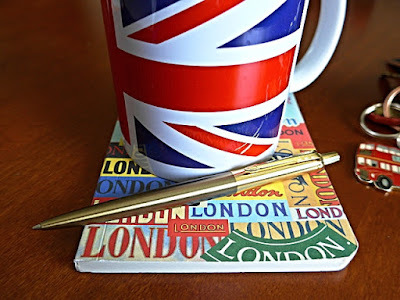 From their official site: "First introduced in 1954, the Parker Jotter remains one of the best selling pens in history - over 750 million have been sold worldwide! One of the most important designs of the original Jotter was the rotating refill - still used today. With every click, the Jotter's ballpoint rotates 90 degrees so that the ball wears evenly as you write." This particular Jotter is the "West End" model (from their 'Jotter Premium' line of 2016), an all-metal pen with a brushed gold barrel and gold-plated cap. Other colour options are: Bond Street Black, Kensington Red, Chelsea Orange, Portobello Purple, Royal Blue, Victoria Violet, Carlisle Brown, Tower Grey, Stainless Steel Diagonal and Satin Black. The Parker pen company was granted a Royal Warrant by Her Majesty The Queen in 1962, and again in 1990 by His Royal Highness The Prince of Wales.